Media Kits: • Boxer Text Editor Text Monkey The Permutator F.A.S.T. 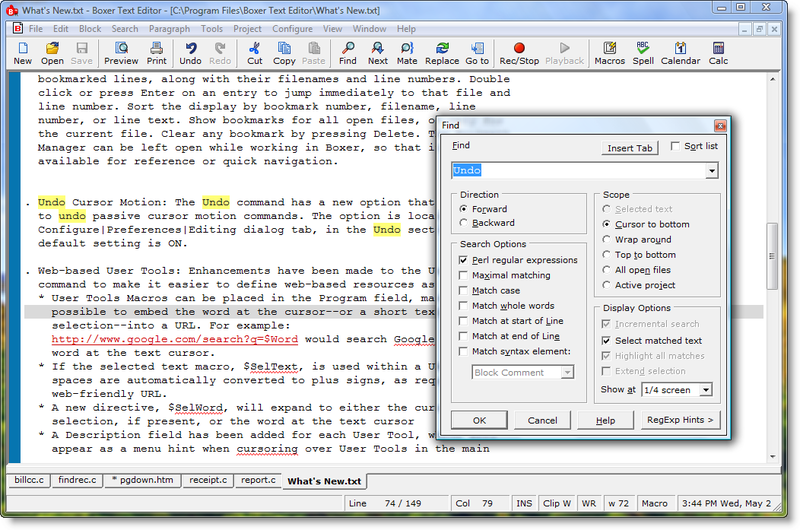 Save time and effort with this versatile, full-featured Windows text editor. Boxer is extremely powerful, but remains easy-to-use for both beginners and experienced users. 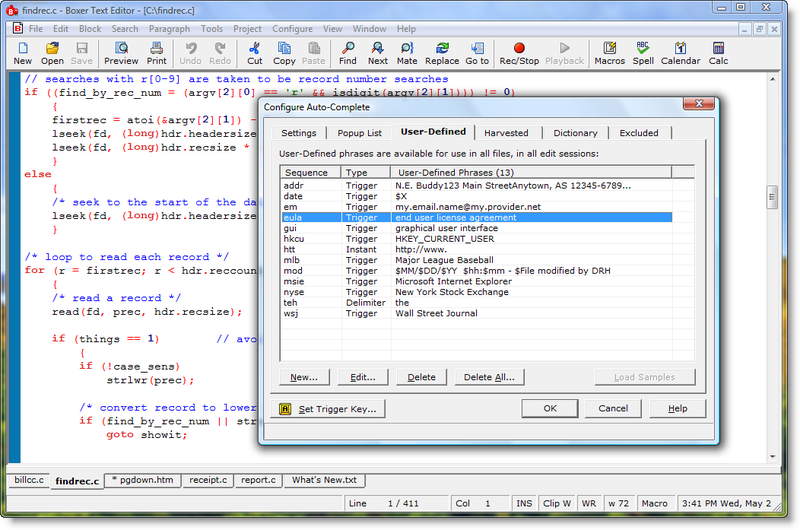 Features macros, 2GB files, syntax coloring, hex, Unicode, USB, FTP, HTML, undo and much more. 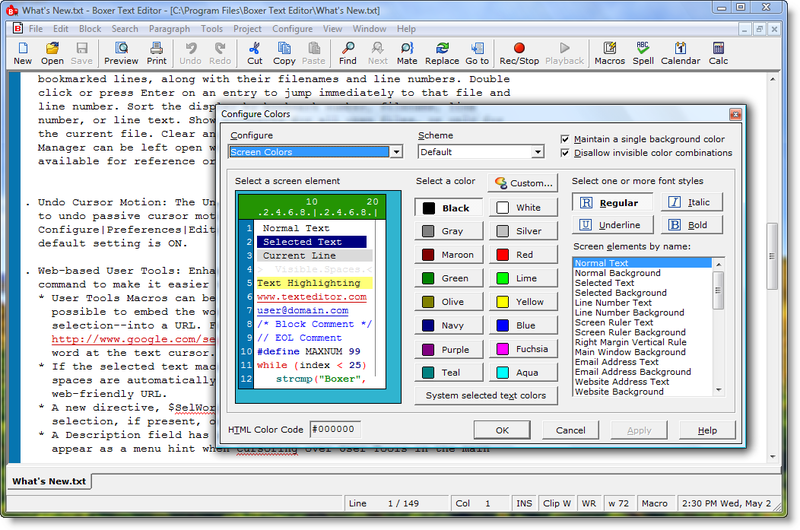 Save time and effort with this versatile, full-featured Windows text editor. Boxer is extremely powerful, but remains easy to use for both beginners and experienced users. 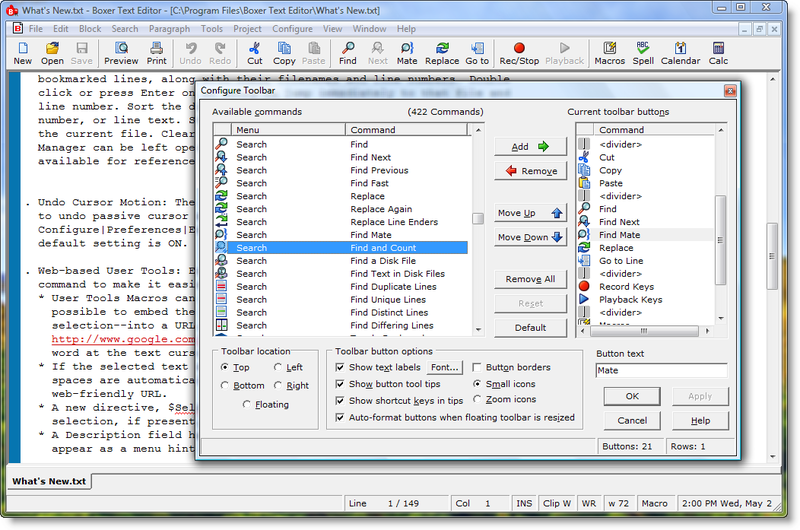 This award-winning text editor features a powerful macro language, keystroke recording, 2 GB file size limit, syntax highlighting and printing, auto-complete, project support, hex editing, Unicode editing, portable/USB editing, FTP, HTML support, column blocking, undo/redo, spell checker, Perl-compatible regular expressions, extensive configurability and much more. 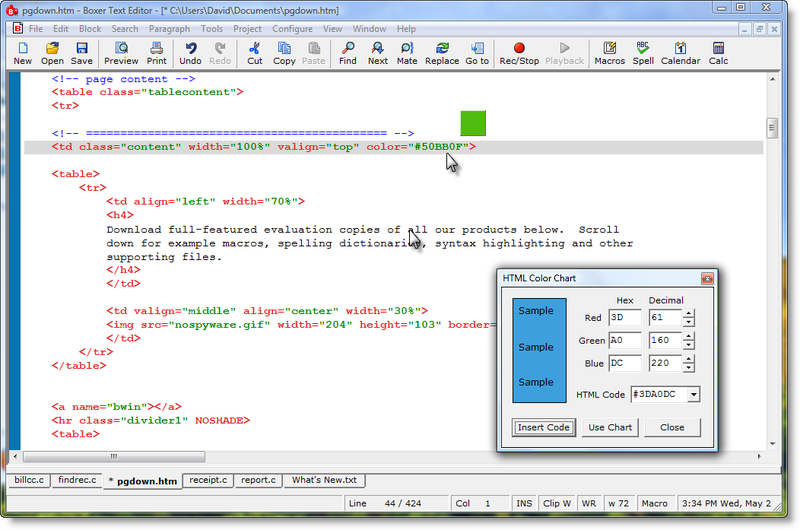 Save time and effort with this versatile, full-featured Windows text editor. Boxer is extremely powerful, but remains easy to use for both beginners and experienced users. 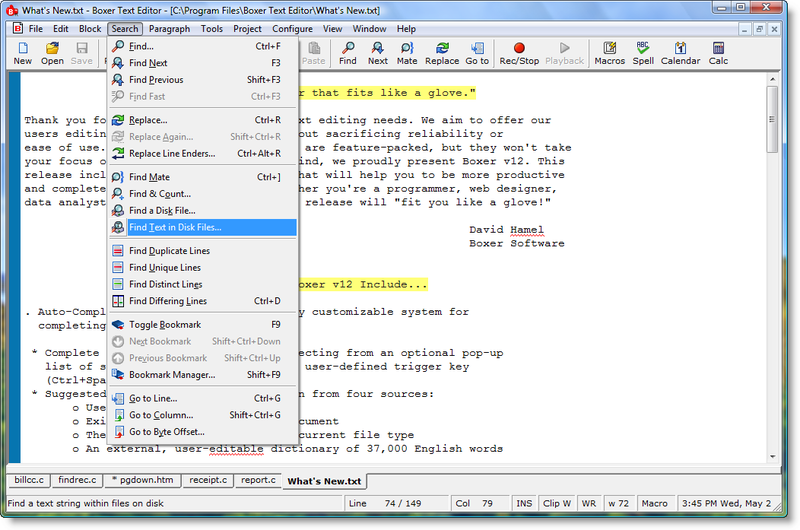 This award-winning text editor features a powerful macro language, keystroke recording, 2 GB file size limit, syntax highlighting and printing, Perl-compatible regular expressions, auto-complete, Power Columns editing feature, project support, hex editing, Unicode editing, portable/USB editing, FTP, HTML support, column blocking, undo/redo, spell checker, Ctags support, regular expression search/replace and much more! Extensive configuration options are available, including the ability to define key assignments, configure the toolbar, set screen colors/fonts, create templates and to define external programs as tools. Boxer's spell checker includes a 140,000+ word American English dictionary, with additional languages available at our site. The optional Active Spell Check feature can underline misspelled words as you type. Open URL and email address directly from within text files. 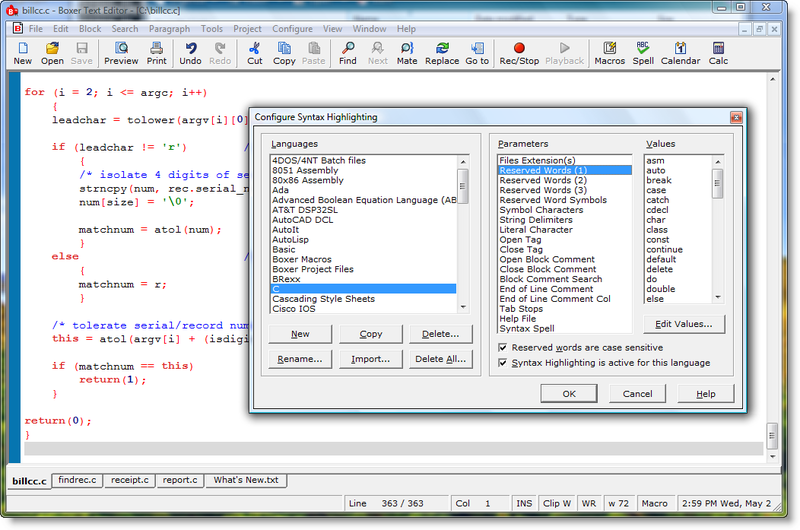 Boxer includes a pop-up, multi-base programmer's calculator with full hex/decimal/octal/binary support, scientific functions, trig, memory, etc. 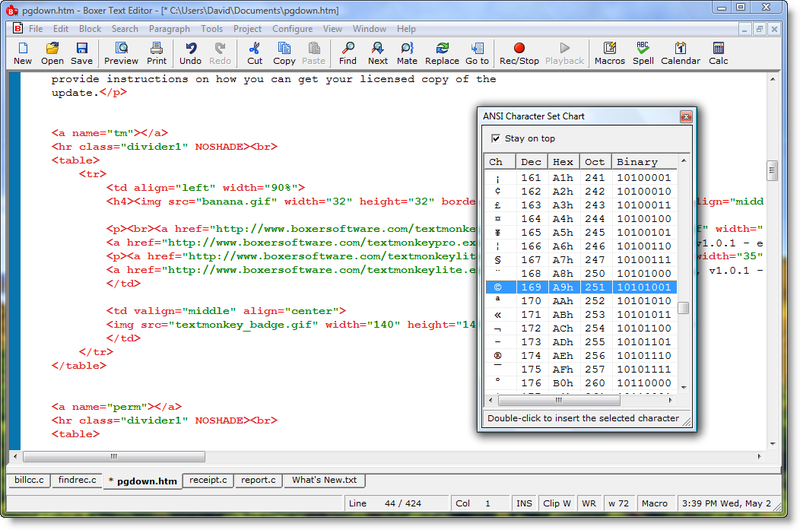 The HTML Color Chart makes it easy to select colors and insert the associated HTML color code into your website files. Boxer Software has been developing text editors since 1991, and during that time Boxer has won the respect and affection of countless users around the world. We aim to offer users editing power and versatility without compromising on reliability and ease-of-use. In other words: our editors are feature-packed, but they won't take your focus off your work. Our fully functional evaluation copy allows you to try Boxer within your editing environment to make sure Boxer is right for you. Boxer Software is a privately owned company that was founded in 1991. Its first product, Boxer/DOS, was released in that year, and enjoyed an enthusiastic following among DOS users. Since then, Boxer Software has developed and released text editors for Extended DOS, OS/2 and Windows. Due to its comprehensive feature set, extensive configurability, and speedy operation, Boxer has earned itself a strong following among programmers, engineers, students and writers.